Smart trainers have different “modes” which define how much resistance they apply while you ride. The two most common modes are ERG and Sim. In ERG mode your trainer’s only job is to make you hold a particular wattage. “ERG” comes from Latin for “Ergo” which means “work”. ERG mode is literally forcing you to work at a particular level. If you are spinning at a cadence of 90 and putting out 200 watts, then slow your cadence to 60, your trainer will increase resistance so you are still doing 200 watts even though you are pedaling slower. 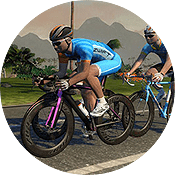 If you are spinning at a cadence of 90 and putting out 200 watts, then increase your cadence to 110, your trainer will decrease resistance so you are still doing 200 watts even though you are pedaling faster. So your only job in ERG mode is to manage your cadence. You don’t need to worry about shifting (although it is allowed), or whether you are hitting your wattage target. You just need to keep your cadence where you want it, and the trainer will make sure you’re hitting the target power. When Should I Use ERG Mode? I’ve been asked if ERG mode should be used in races. 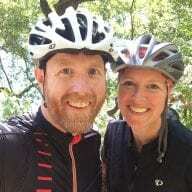 First of all: this would be a little challenging to implement given Zwift’s event functionality. But even if you could do it, why would you? Racing requires constantly adjusting your effort to stay with the pack, attack on punchy climbs, ease off on descents, etc. ERG mode was not made for on-the-fly adjustments. 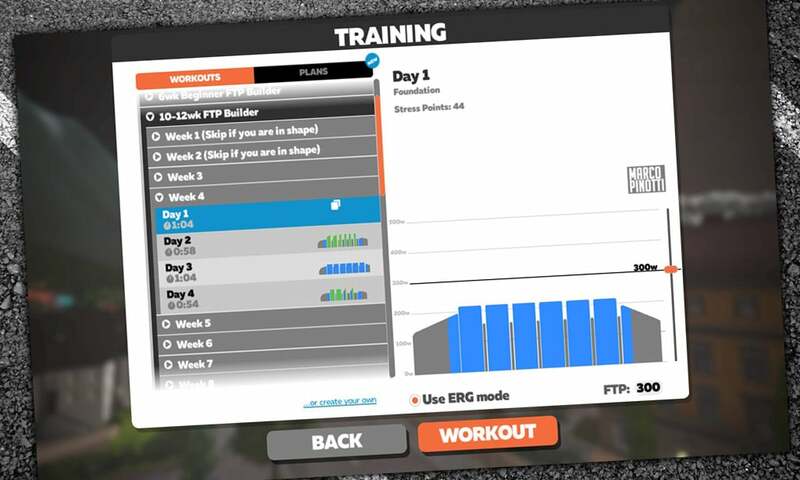 You can disable and enable ERG mode from the workout browser screen by toggling the “Use ERG Mode” button. If you understand how ERG mode works, you’ll understand what we like to call the “Spiral of Death”. This torturous event happens when you are in ERG mode attempting to hold a particular wattage, then your legs get tired and your cadence slows. In order to keep hitting the wattage target, your trainer will then increase the resistance (see examples above). This increases resistance means your cadence will slow even more, which means the trainer will pile on more resistance… until you feel like you’re pedaling through wet cement.